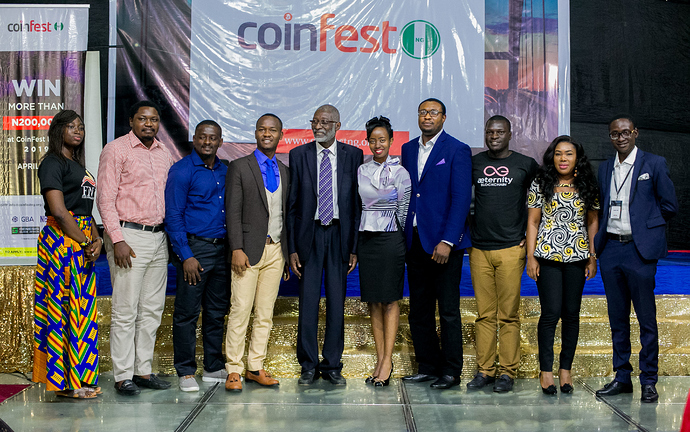 I was at the coinfest Nigeria as one of the conference speakers to talk about what aeternity is doing in Nigeria, Africa and the world at large. The event brought together a lot of blockchain experts/influencers with other speakers from Nigeria, Ghana and Kenya. The conference lasted for two (4th to 5th April) days with the first day having the speakers talk about the various platforms they are involved with and giving an overview about how blockchain can solve some of the real life problems. I also gave an overview of what aeternity is doing to promote mass adoption by hosting meetup using ambassadors and by looking out for use cases that are relevant to the needs of the common man on the street and having them deployed on the blockchain. Also spoke about how aeternity is promoting grass root adoption by funding startups through the incubators program of Starfleet. 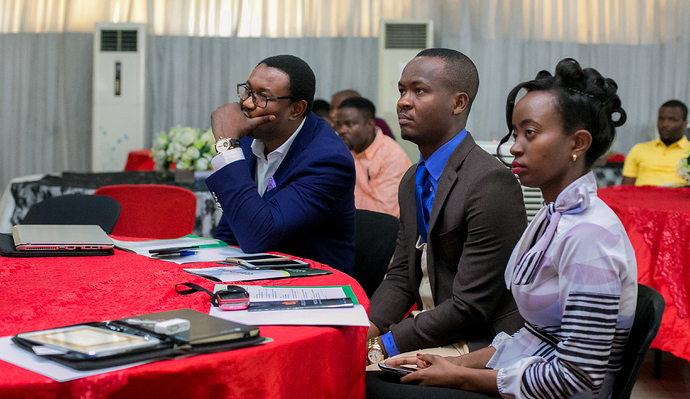 Various speakers at the event pointed to the fact that there is need for blockchain adoption so that transparency can be seen across board and the systems can be effective; also the fact that blockchain is young and innovations needs come out of Africa. The second day was a hackathon and the winner (Esusu) had a prototype that allows SMEs to get soft loans at an insignificant interest rate. Meaning at a very low rate and this will be done on the blockchain. 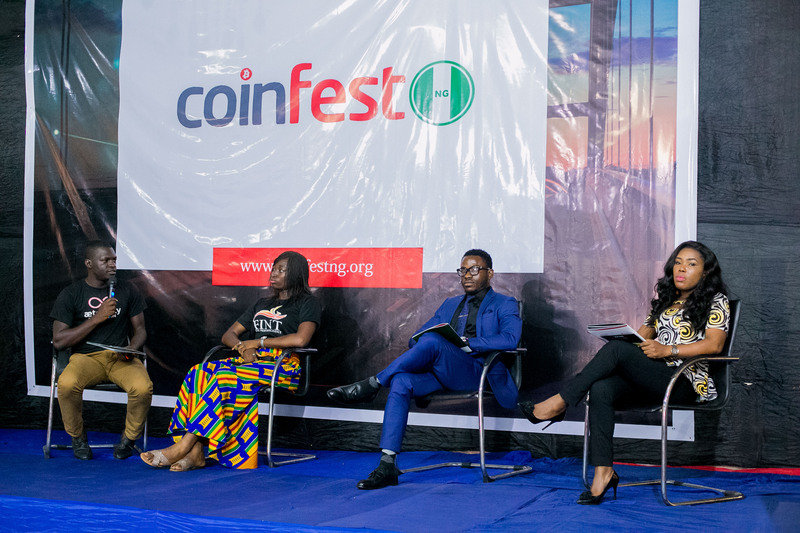 This is a way of promoting mass adoption of the blockchain and their reason for developing the prototype is this; the commercial/central bank makes it difficult for SMEs to access loan facilities and in a growing economy like Nigeria, SMEs are the back-bone of the economy. I have initiated discussion with the winner if they are interested in deploying their app on aeternity’s blockchain and they are looking into the possibility of doing so though yet to receive any feedback. 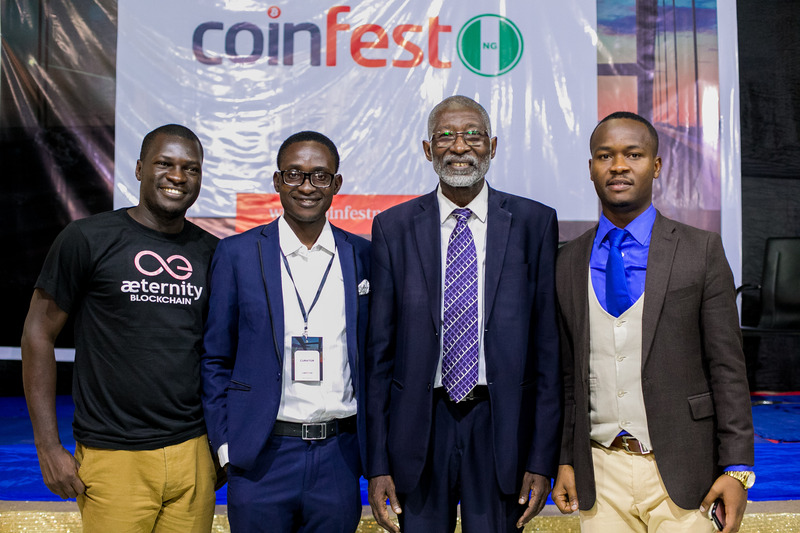 Two of the conference speakers run exchanges here in Nigeria and I have already initiated a discussion with them on how the common man on the street can access AE coin from their exchanges using Naira (Nigeria’s fiat). This is because a lot of people who would like to access AE coin might have difficulties in doing so because the current exchanges needs someone who knows a lot about crypto to use it effective but with exchanges like sabiii.com and bitfxt, makes it easier because they are user friendly. They promised to get back to me with feedbacks. 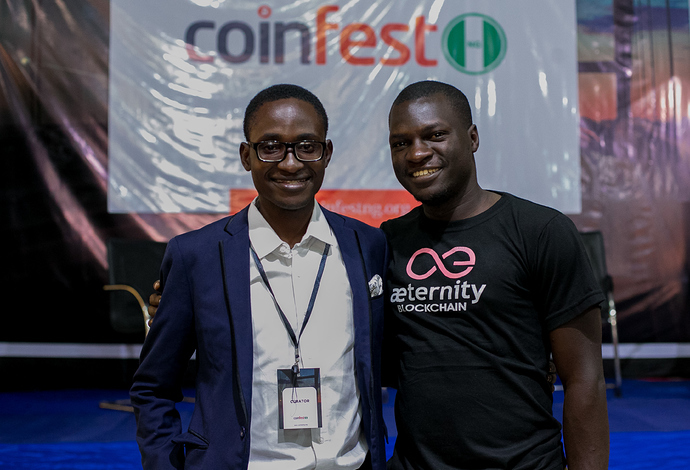 It was an honor to speak about aeternity in such a big event as Coinfest. Thank you for the opportunity. Excellent work Stephen! 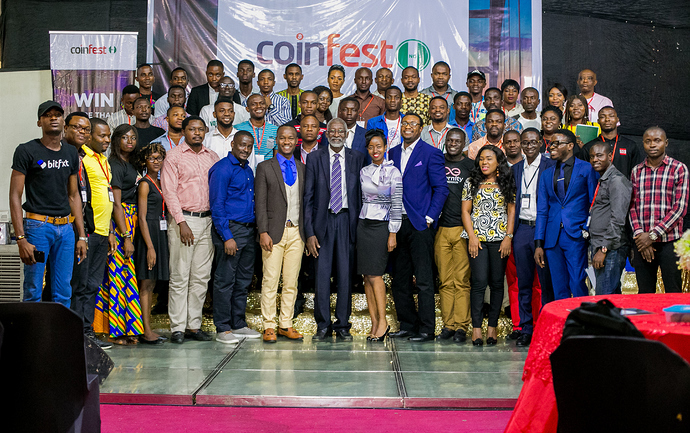 Keep us in the loop about any developments with the Coinfest participants!